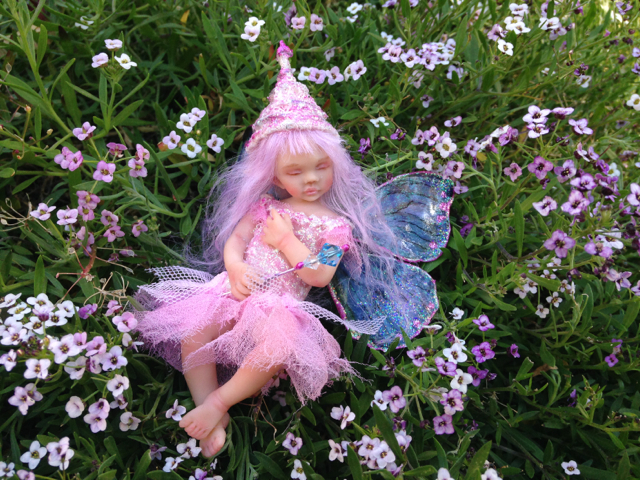 OOAK Baby Fairy Pretty In Pink! Oh wow, what a busy April I had. Just crazy and hardly any time to sculpt. These type of months are so frustrating. Hopefully things will calm down some now and I can focus. Too many distractions Ive had lately! It is rare that I use colored hair on my dolls other than “normal” hair colors. But this one looked so cute all in pink so she has pretty pale pink hair. Her wings are beautiful blue with pink accents. Click HERE to see her etsy listing. I just listed Morgan in my Etsy Shop. To see her listing, click on the photo. She is a beauty and I just love her purple colors! 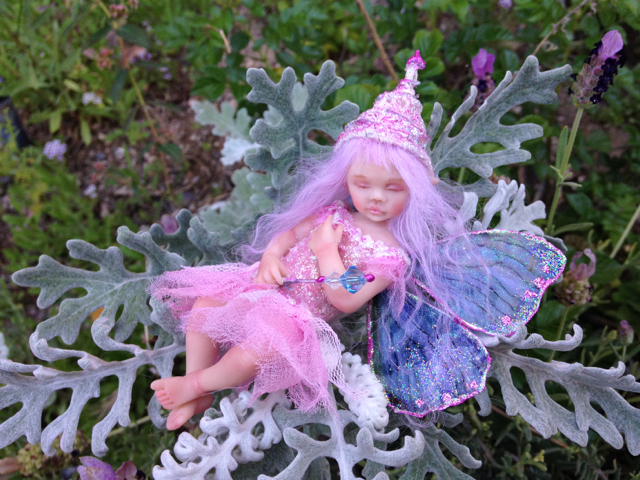 She comes seated on a decorative rock. Ive just listed this one in my Etsy shop. oh what a joy this one was to work on. She’s so soft and dainty with quite an angelic expression on her. Just love her. Click on her photo to see her Etsy Listing. I just finished this little one. She is now listed in my Etsy Shop. Please click on her photo to see her listing and more photos! I have just finished this piece and she is in my etsy shop. I do love this one. Click on her photo to see her Etsy Listing. Just listed this one in my Etsy Shop. CLick on her photo to see her listing. she’s a cutie. very inquisitive look on her.